My skin changes more than the seasons. One day it’s dry, the next it’s oily, the next it’s both, and I even have days when it’s normal. I can’t keep up with it’s ever changing changes. For that reason, when it comes to moisturizers and any other skin care product, I select products that work well on every skin type. Not every moisturizer and lotion can handle my ever changing needs but Alpha Skin Care products can and no matter which ones I use, they’re all under $20. Skincare products are designed to be used together so I researched each of their products and I came up with a handful of products that I’m using this year. When I decided that I was going to look my best in 2017, I knew I had to start with a beauty routine that I could stick with. That means products that work, require the least amount of time to use, and products I can afford. Backing up to the beginning, I start my day and the first step of my beauty routine with my Alpha Skin Care Face Wash. I use it twice a day but we’re going to start with my nightly routine. A lot of people, myself included, have trouble establishing a night time beauty routine when we’re exhausted after a day of work, keeping up with the kids and so forth. I’m going to show you how quick and easy it is to incorporate Alpha Skin Care products into your nightly routine. Following my evening shower and Alpha Skin Care Face Wash, I use Alpha Skin Care Essential Renewal Lotion. It moisturizes and exfoliates my skin. My goal for 2017 in regards to self-help is to say good-bye to fine lines and wrinkles. For $16.99, I get the results I want with a product that works. I’m not even a month into use and I’m already seeing some results. 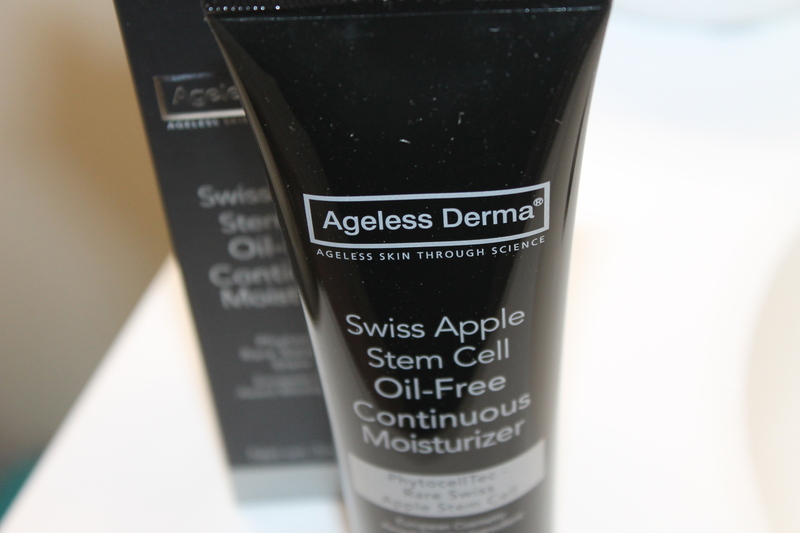 It’s designed for normal to dry skin and it helps to support collagen production. Now, you might be asking what that means exactly. In short, collagen makes your skin look healthier. As we age as I’m doing, my collagen level isn’t what it used to be. My face is not firm like it was in my 20’s and 30’s. I have to use products that help support more production of collagen such as the Alpha Skin Care essential renewal lotion that I’m using. I also chose the Alpha Skin Care Essential Renewal Lotion because it helps even my skin tones (goodbye dark spots). This lotion can be used twice a day but I recommend using it at night while your skin gets used to the Alpha Hydroxy Acid. It takes just seconds to apply and that’s all there is to it. If you’ve been following my skincare routine, or even if you haven’t, be sure to read or reread my first post about my Alpha Skin Care Products and why I knew I had to start a beauty routine. Be sure to sign up for my newsletter to see what the 3rd and final step in my affordable and easy 5-minute nightly beauty routine, is. I’ll then focus on my morning routine. Are you ready for some good news? Alpha Skin Care has graciously agreed to give Shabby Chic Boho readers and followers a discount on all of your purchases. To save big bucks, use promo code ALPHA17 during your checkout. You’ll receive instant savings of 25% off your entire purchase. With savings on already affordable products, there’s no reason why any and everyone can’t have better-looking skin. Facebook, Twitter, Google +, YouTube, and Pinterest. Skin moisturizers are so important for me. I cannot stay without mine! My skin gets extremely dry in winter. i have heard of this product. i was actually contacted recently to review it. now that i read yours i cant wait to try. I’d never heard of this brand before. However, it sounds like a great product to check out! Please tell Alpha Skin care ” Thank You Thank You ” ,for the promo code. I am serious about my skin. I have always taken care of my skin. Like you 🌷 Terri 🌷, as I have gotten older my skin as change. I will definitely try it. I just ran out of my facial cream and I was looking to try something different. This one looks awesome. Thanks for the Promo Code. I have such dry skin when it is cold outside. This skin care line sounds perfect for me. And it’s affordable too! Sounds like a great lotion – and I really like the packaging, too! 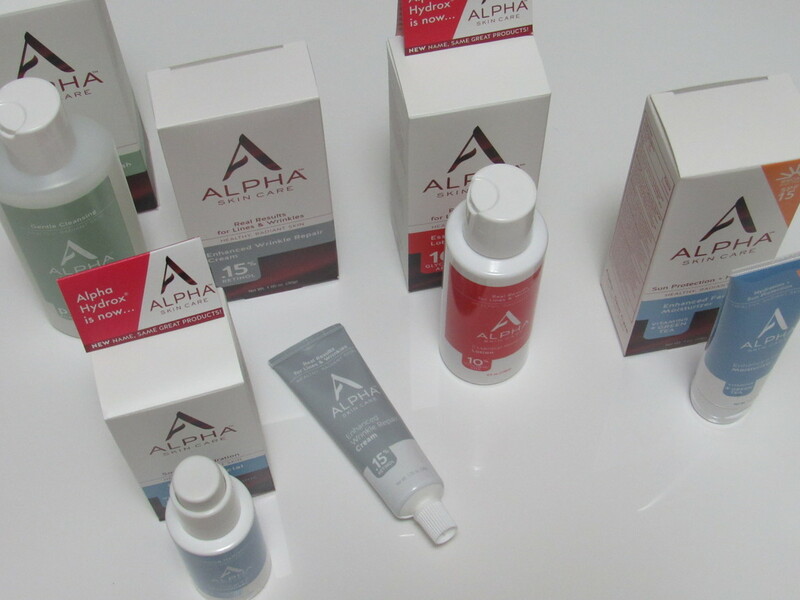 I’ve heard a lot of good things about Alpha skincare. I think, it’s about time to try it too. 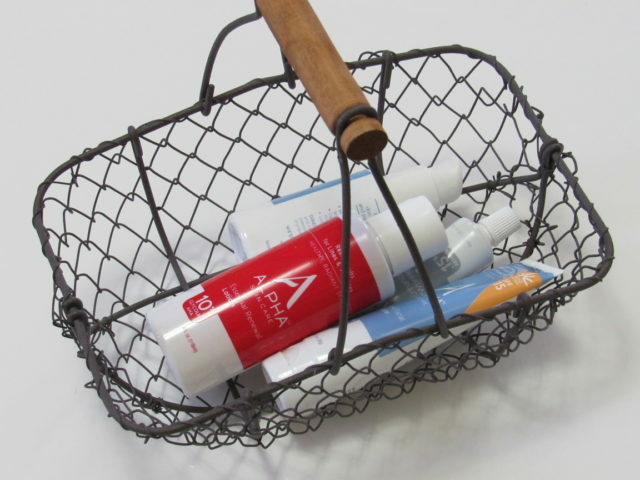 All of these Alpha Skincare products sound amazing and I love the price of them too. 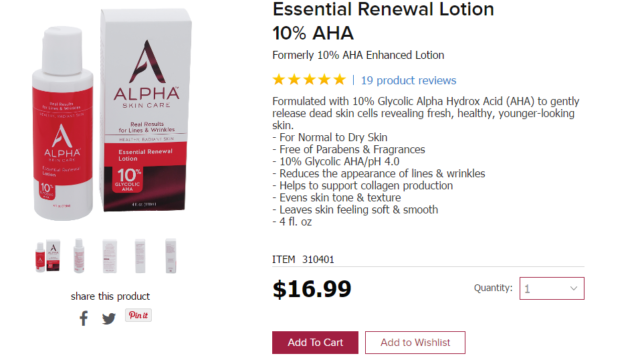 The Alpha Skin Care Essential Renewal Lotion is something I am going to have to try on my face for my the fine lines and wrinkles. 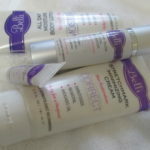 Thanks for sharing these awesome affordable skincare products. I haven’t heard of this brand before, but it sounds like a great line of products. This is omething I would like to try. I think you’re going to love their products. Alpha Skin Care sounds like a wonderful skincare line. I love the inclusion of essential oils. They have some amazing properties to them. Oooh. I’ve never heard of this stuff before, but I really want to try it. It sounds great. I’ve actually been looking for a new line.